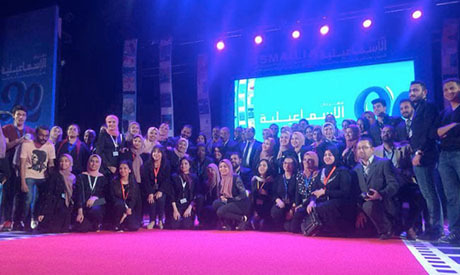 The Ismailia International Film Festival for Documentaries and Shorts, which ran from 11 - 17 April, closed its 20th edition yesterday with an award ceremony at the Ismailia Culture Palace. The closing was attended by Governor of Ismailia Yassin Taher, Deputy Culture Minister Khaled Abdel-Galeel, who represented Culture Minister Ines Abdel-Dayem. The event’s closing featured a concert by Life Time band, which sang a number of national songs, in addition to a song written especially for the festival Ahmed Raoul with music by Karim Arafa. A screening of a short documentary concluded this year’s edition. Festival president Essam Zakaria, as well as Yassin Taher, and Khaled Abdel-Galeel all spoke prior to the announcement of secondary prizes. Swiss-Iraqi director Samir Gamal El-Din was awarded with a special honor, after which the festival’s main awards were announced.